Not sure how to download? What device are you on? 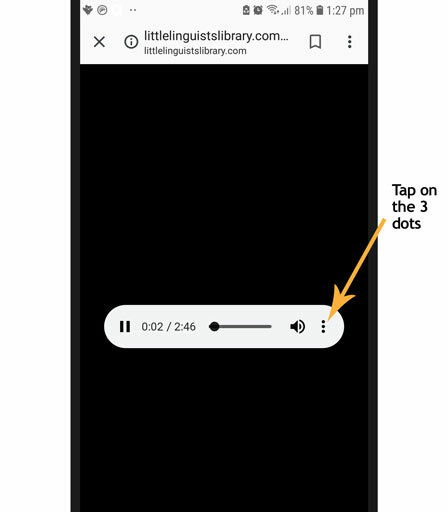 Follow the download instructions for desktop (using Google Chrome as your browser). Open the file and this will add it to iTunes. 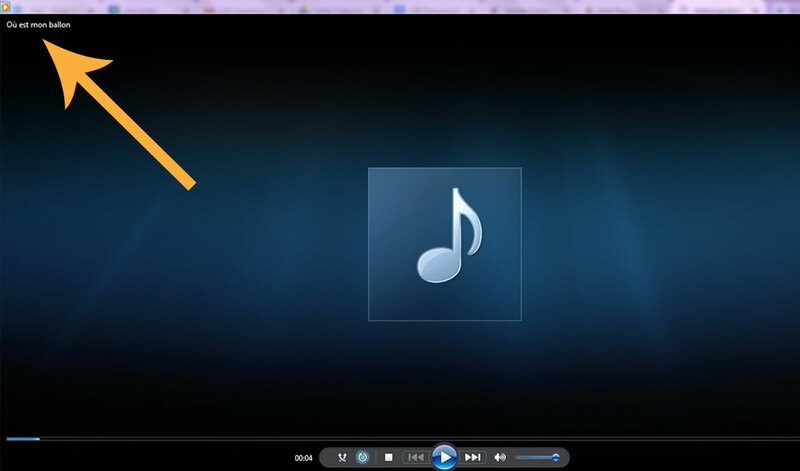 Sync your iPhone to your desktop or laptop as normal, selecting the MP3 file for inclusion in the sync. 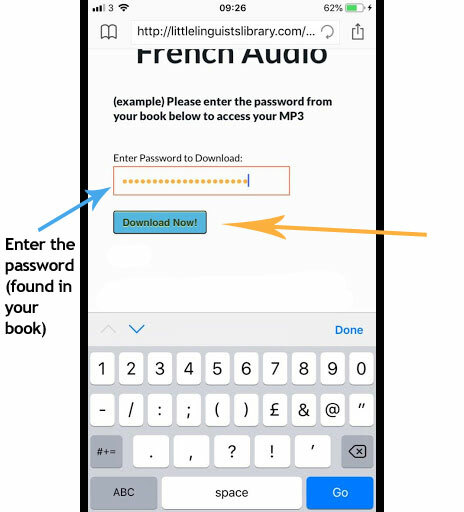 If you want to avoid using your desktop or laptop, or if you don’t have one, the following is the simplest approach to download the MP3 to your iPhone. 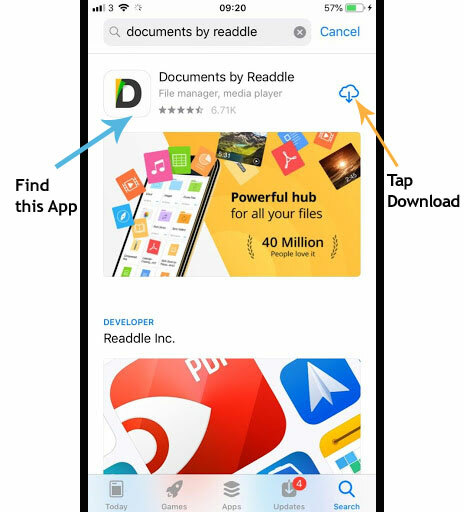 It will require downloading a free app to do so – Documents by Readdle is our recommended app for this. 1. Download ‘Documents by Readdle’ from the App Store. 2. 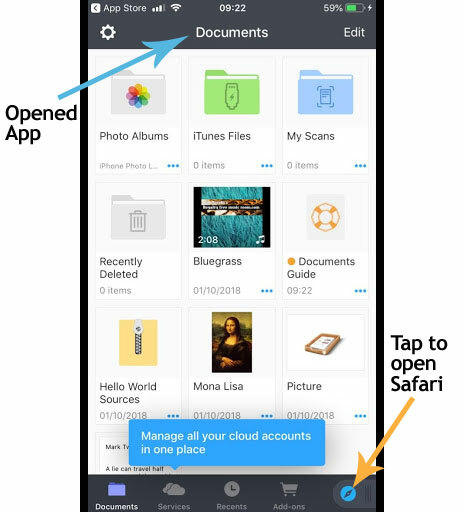 Once downloaded, open the app and select the web browser by clicking on the ‘Safari’ icon at bottom right. 3. 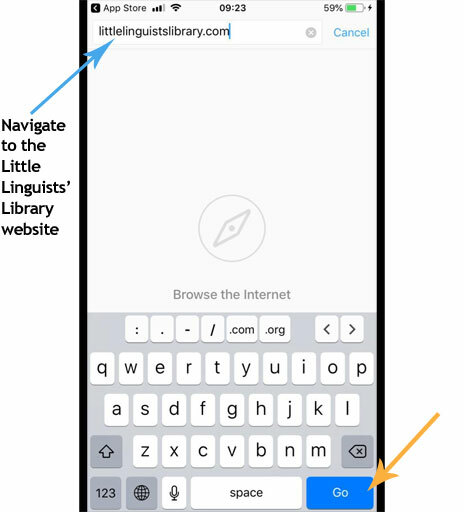 Navigate to littlelinguistslibrary.com by typing the address in the URL bar (as you would in a normal internet browser, such as Safari). 4. 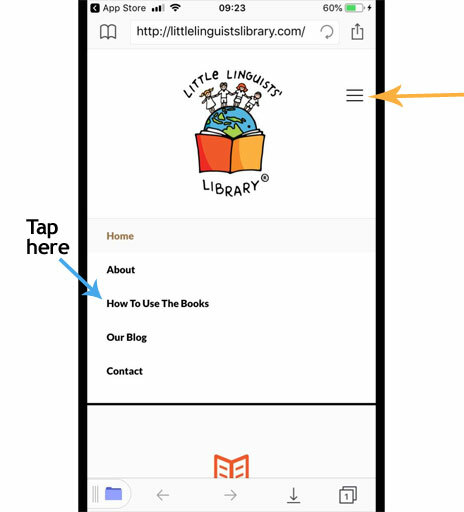 Navigate to the ‘How to use the books’ page of the site by tapping on the three horizontal lines at top right and tapping on the relevant page title. 5. 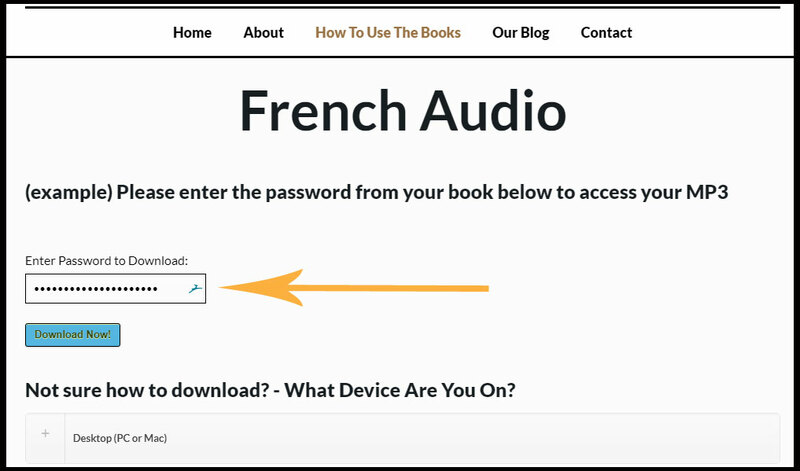 Select the language you wish to download (French or Spanish) and this will take you to the password input page. 6. 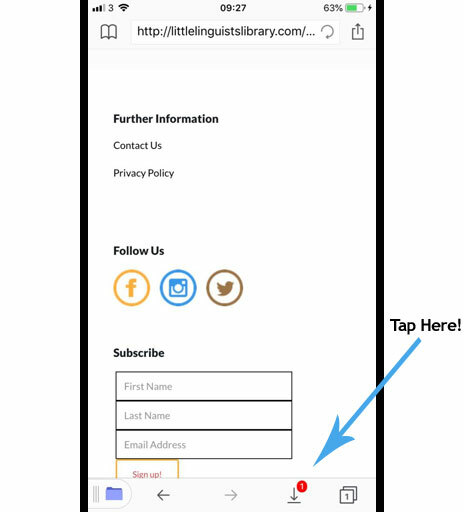 Input your password in the box as prompted and then click ‘Download Now!’ Remember that the password is case sensitive and the final two characters are numbers. 7. You should now be taken to a page headed ‘Save File’. 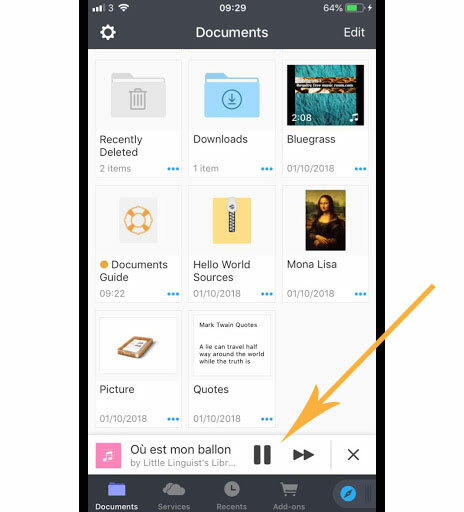 Tap ‘Done’ at the top right to save the MP3 file to the ‘Downloads’ folder within the Documents by Readdle app. 8. An arrow should appear at the bottom of the page with a red number ‘1’ next to it. Tap on this to be taken to your download. 9. 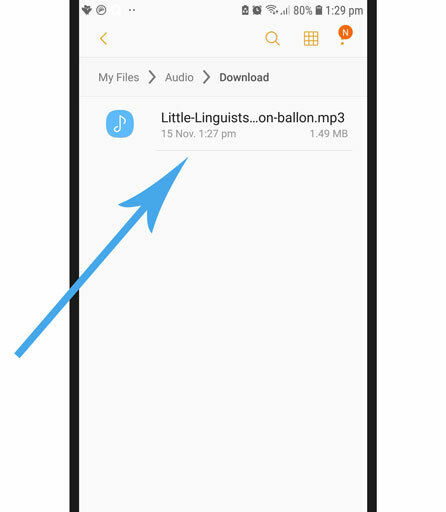 You should now be able to play your MP3 on your iPhone by simply tapping on the quaver music icon next to your file’s name. 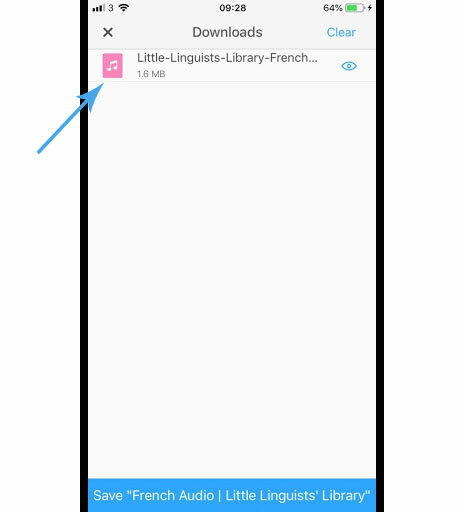 The playing file will appear in a bar at the bottom of the app page. 1. 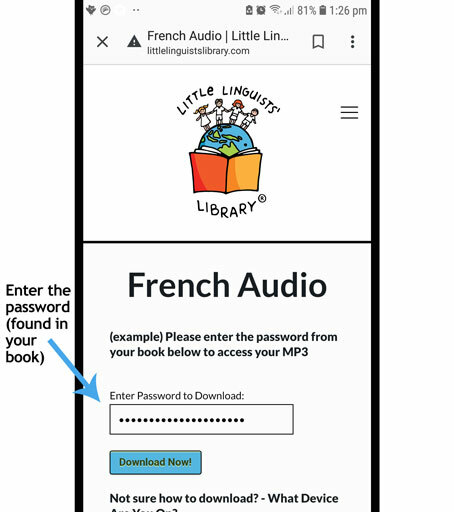 Type the password into the designated area and click "Download Now!" Remember that the password is case sensitive and the final two characters are numbers. 2. 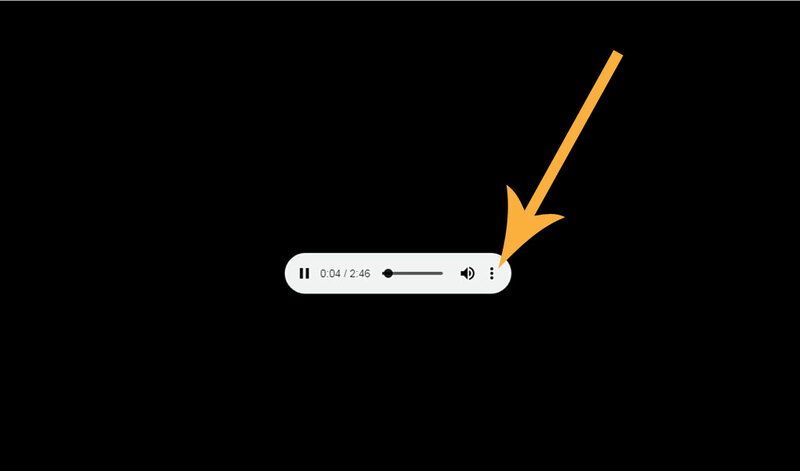 From the MP3 playing page, click on the 3 vertical dots that on the right of the playing file. Then select 'Download'. 3. The file will begin to download. 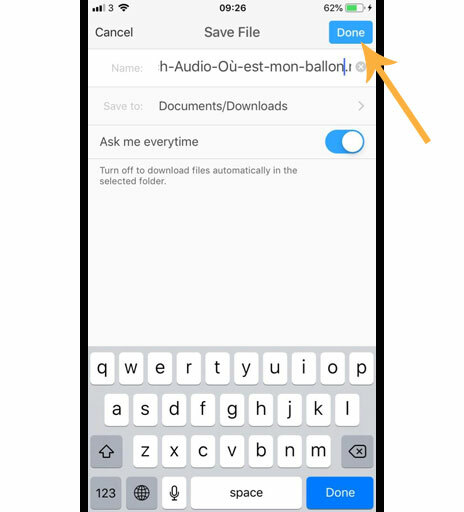 To access the file, tap on the 'download arrow' in the top left or on the 'Open' button at the bottom of your screen. 4. 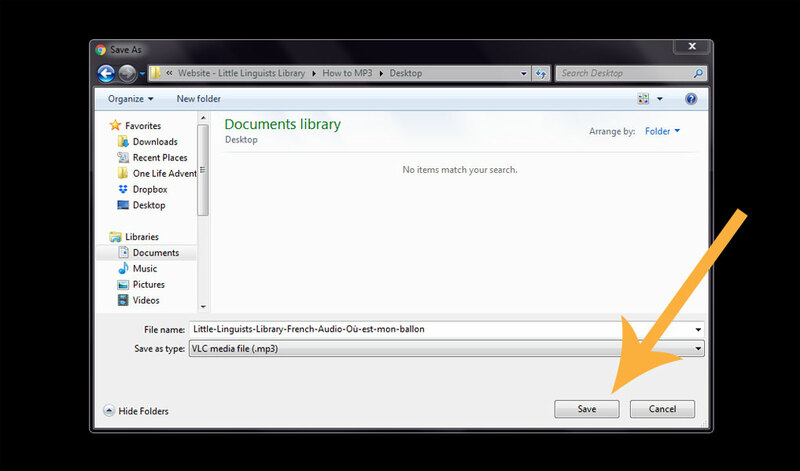 If you can't find your MP3 file, navigate to your folders and click on "My Files"
6. 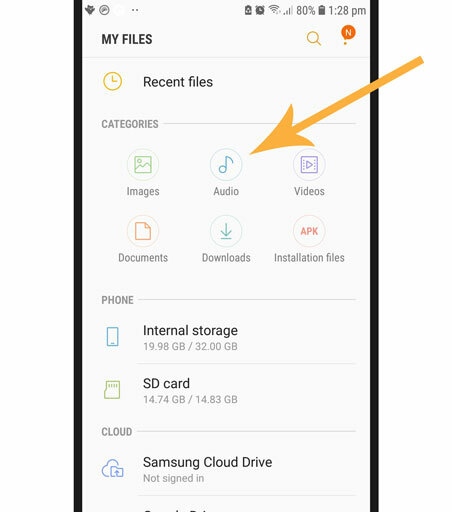 In the folder, you will find your MP3 file. 7. 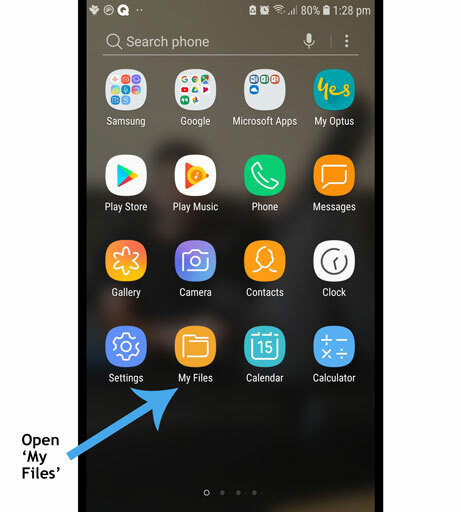 To play your MP3, double tap on the file. 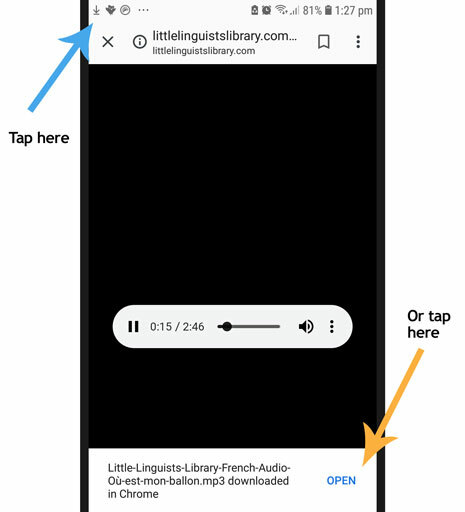 These instructions apply to the Google Chrome browser. The steps required for other browsers may differ. 3. Select where you would like to save the file to your computer. 4. 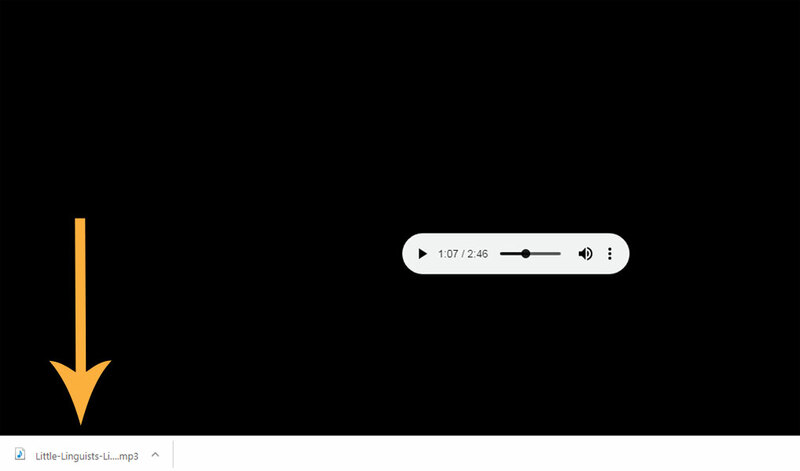 Once the file has downloaded, a tab will appear that the bottom of your screen. Click on it to open your MP3 file. 5. 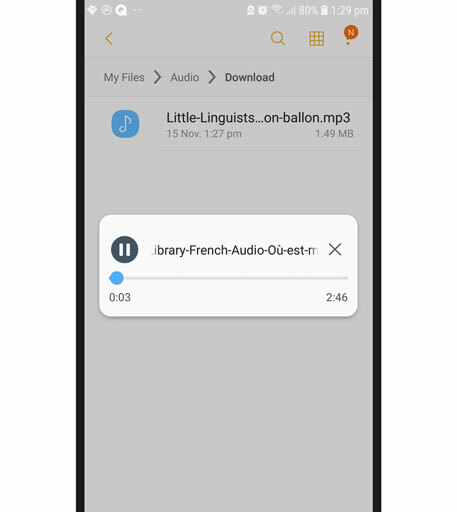 Play your MP3 file on the audio program you use on your computer. 1. Sign up to our Mailing list. 2. 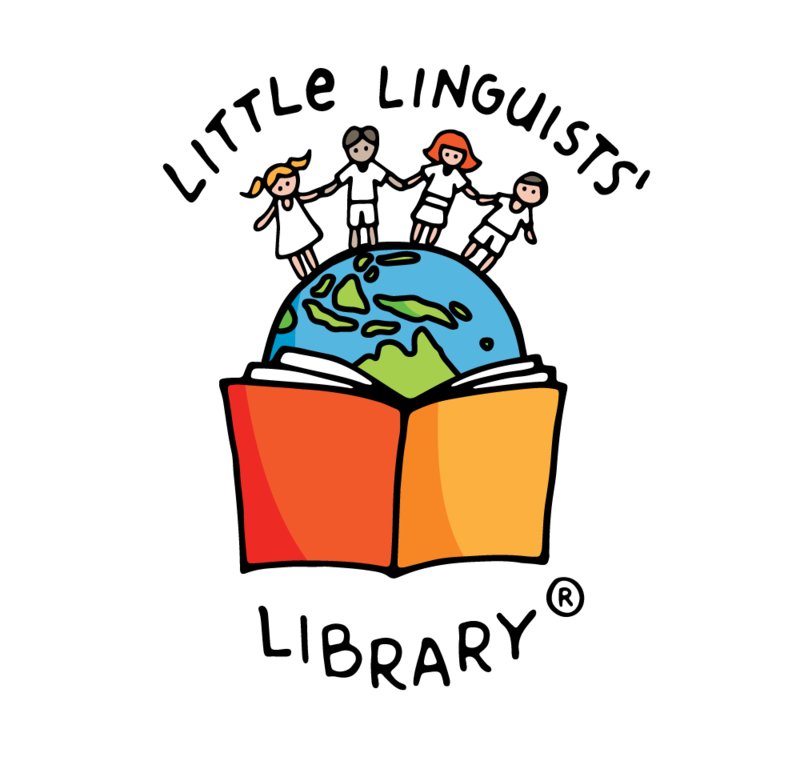 Like and follow our page on Facebook.